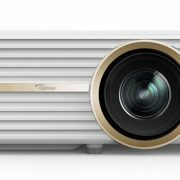 Casio has launched a new series of projectors with LampFree Green Technology. 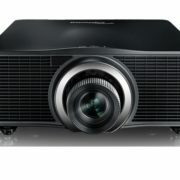 According to the company, these type of projectors start and shutdown instantly and also not put stress on the eyes, moreover, need less maintenance. 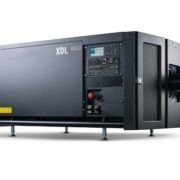 They also mentioned in the public release that their projectors come with TCO Certified life cycle criteria for socially responsible manufacturing, energy efficiency, picture quality and lower environmental impact. This series Casio projectors used the Lampfree laser led hybrid light source which is mercury free and also low in CO2 emission. To implement this new technology, the Casio Projectors follows the Minamata Convention on Mercury and extending its support to a friendly and green environment. The Advance series projectors of the Cassio has 20,000 hours estimated operating life and because of Quickstart technology they can achieve the full brightness in just 5 seconds. They also have a 1.5X zoom lens for optimal flexibility in projector placement. LampFree projectors also have a dust-resistant design. Casio’s Ultra Short Throw series is the XJ-UT311WN has built-in 0.28:1 fixed lens, produces 3,100 lumens of brightness and boasts WXGA (1280 x 800) resolution with a 20,000:1 contrast ratio. Comes with Network (RJ-45) and local RS-232 connections including remote status monitoring capabilities and a wireless presentation adaptor. 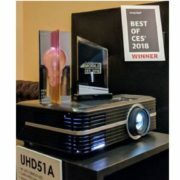 Casio’s SLIM projectors are only 1.7 inches thick and weigh 2.25 kilogram, with an estimated 20,000-hour lifespan with minimal brightness degradation. 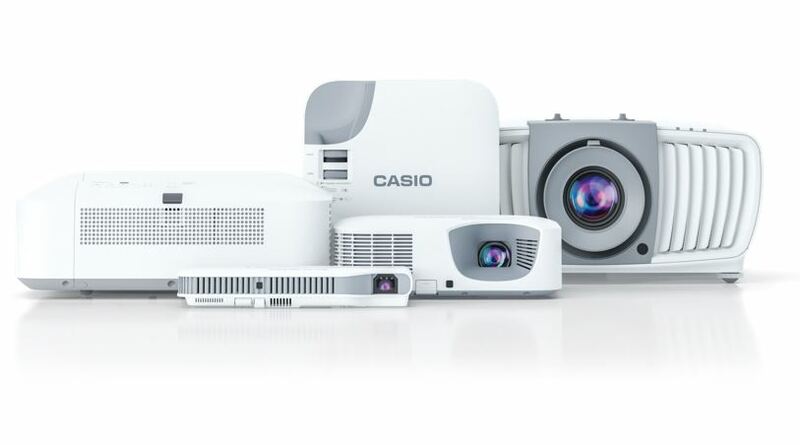 Casio’s Ultra HD series equipped with a Lens Shift function to correct projector positioning. It also has the super-resolution feature to enhance movies and images low-resolution. This series projectors come with high brightness of 5,000 lumens.